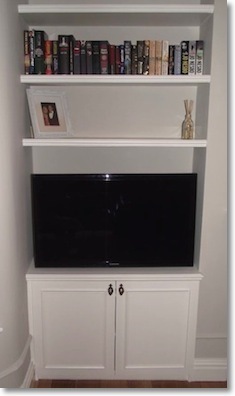 We are a friendly, London-based, bespoke carpentry company who has an excellent reputation for always giving good value for money regardless of the size of project. We are very much customer oriented in terms of what you need and want and our priority is to deliver this. We guarantee high quality products in the specified time period. The results are satisfied customers. Whether it’s built in wardrobes or made to measure furniture our North London carpenters are ready to help. 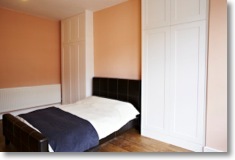 Our bespoke carpentry is designed and built to your exact specifications. We provide personal service that involves you in all planning and design. Whether you desire contemporary or more traditional styles – we have extensive experience with bespoke carpentry projects and will create the exact look that you require. Visit our SPECIAL OFFERS page for information on 2018 deals. Contact us to arrange a free measuring and quotation and we’ll book you in straight away! Copyright © 2017 Bespoke Carpentry London. All Rights Reserved.